NO, I’M NOT DEMANDING MONEY! 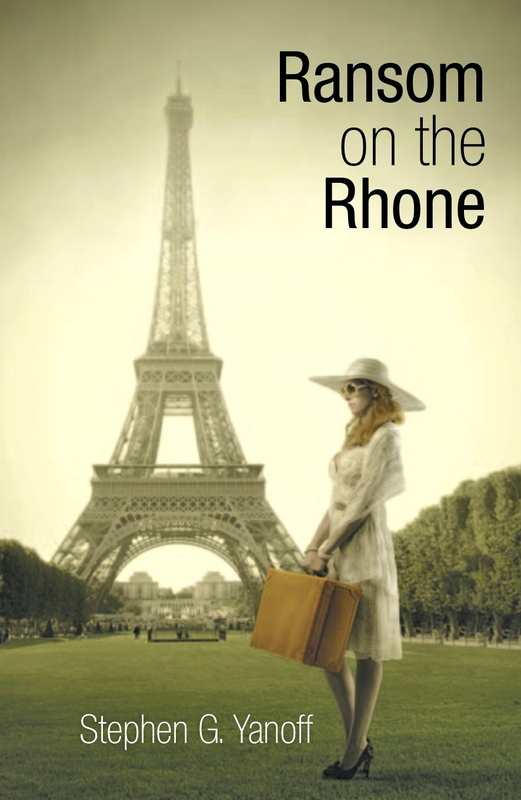 I’m referring to the unprecedented demand for my new mystery novel, RANSOM ON THE RHONE. (Which sounds dangerously close to “Ransom Over The Phone.”) Anyway, the book is selling briskly (what else would you expect with these frigid temperatures?) and is well on its way to becoming another huge literary sensation. Believe it or not, the first printing has already sold out (thanks to my mom) and we are now on our 2nd or 3rd round of printing. Soooo…. If you’ve been waiting to order a book, they are now available at Amazon.com, Barnesandnoble.com, GoodReads.com, Kindle, and Nook. They can also be purchased at a large number of “brick and mortar” stores. If you are a fan of Adam Gold, and let’s face it, who isn’t, then you will love this new story. Here is the blurb from the back cover: “The theft of a priceless Gobelin tapestry drags insurance investigator, Adam Gold, into the murky and violent world of international artnapping – and a life or death struggle with the Corsican mafia.” There is more, but my publicist, Blind Lemon Lefkowitz, thinks we should just “tease” the public, which be you. I would like to ask a small favor of my 16,000 blog followers…. if you read the book and enjoy it, please leave a nice comment/review on Amazon.com or Barnesandnoble.com These kind words are very helpful to future sales and help attract advertising dollars from the publisher. Thank you in advance for your support! So what else be new? Today in my mother’s birthday. Miss Hazel just turned 89! As usual, I sent her a “congratulations card” for giving birth to me. (See why I’m her favorite?) I’m not sure why, but my sister, who is three years younger than me, sent me a birthday card. She just discovered that we are not identical twins after all. Surprise,surprise. Anyway, I will be sending mom a discounted copy of my new book, assuming she is willing to pay for shipping and handling. P.S. I promise that this will be the last time I post a picture of my new book cover! ← OSCAR (MAYER) NIGHT IN HOLLYWOOD!